Professional dental cleaning removes dental plaque and tartar that cause periodontal disease in pets. A visit to the dentist helps humans to maintain good oral health, and a healthy and shiny smile. Similar to this, pets also need to visit a veterinarian to receive a professional dental cleaning to ensure a healthy mouth and teeth. Everybody loves a shiny smile and fresh breath, and this includes your pet! Our veterinarians in maui understand the importance of your pet’s dental health, and how your pet’s dental health is related to overall health. Therefore, At Home Animal Hospital in Maui provides cats and dogs with professional dental cleanings to avoid bad breath, periodontal disease and related subsequent diseases. All professional dental cleanings in our veterinary dentistry start with a comprehensive dental exam and your pet’s general health. 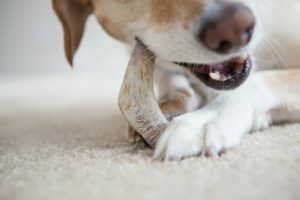 Dog dental cleaning and cat dental cleaning performed at our pet dentistry in Maui by our veterinarians and dental technicians begins with an initial dental and oral exam of your cat or dog’s mouth. The dental examination will allow our veterinarians to obtain a general assessment of your pet’s oral health. Based on the initial dental exam our dental technicians and veterinarians will assess if X-Rays are necessary for further procedures. The dental cleaning on your pet will start by removing deposits formed on the teeth by using ultrasonic dental equipment, and hand dental scalers. The next step after scaling will be to polish your cat or dog’s teeth to remove residual plaque and to make the tooth surface smoother. Polishing and applying plaque-preventive material to your pet’s teeth delays the deposition of plaque and tartar. To conclude, our dentist technician will rinse your pet’s mouth to remove debris and make a final inspection. Non-anesthetic or anesthesia-free dental scaling is not recommended by AVDC. In order to provide a thorough safe dental cleaning to pets on Maui, anesthesia is essential in most cases. The use of anesthesia allows veterinarians to conduct assessment of tissues, full-mouth dental radiographs, and a thorough digital dental cleaning with hand scaling and polishing above and below the gum-line. Dental health is a very important part of your pet’s overall health. Dental health problems are known to cause other major health problems in pets. The American Veterinary Dental Society reports that 80% of dogs and 70% of cats show signs of gum disease by the age of three.